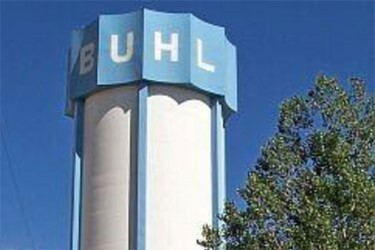 The city of Buhl, Idaho, obtains all of its drinking water from groundwater sources through multiple wells. Prior to 2009, the city did not treat the groundwater but only added chlorine in the form of bulk 12.5% sodium hypochlorite to provide a disinfectant residual. A combination of factors including: changes in EPA and state DEQ regulatory requirements, growth of the residential population and growth of the industrial food processing customers forced the City to build a new water treatment plant to provide filtration to address the naturally occurring arsenic present in the groundwater.